Back in July 2012, the 7th Circuit held that even if an immigrant spouse is sitting at home without seeking work, a sponsoring spouse who signed the Affidavit of Support (Form I-864) still has a duty to support the immigrant spouse at 125% of the Federal poverty level. In other words, there is no duty of mitigation with respect to obligations under the affidavit. The court reasoned that the required level of support is meager, so the sponsored immigrant has a strong incentive to seek employment, apart from any legal duty. 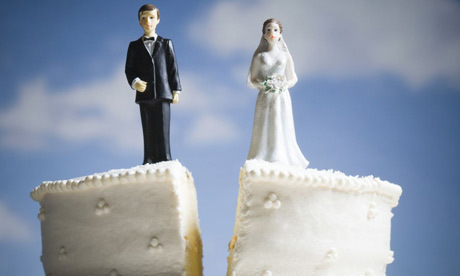 The court also clarified that Form I-864 presently makes explicit that “divorce does not terminate your obligations under this Form I-864,” a fact which was merely implicit back in 1999. See Wenfang Liu v. Mund, 686 F.3d 418 (7th Cir. 2012). Most recently, the U.S. District Court of Maryland held that Form I-864 is enforceable even if a couple had previously signed a prenup waiving their right to alimony. Specifically, the Court found that Form I-864, imposed by federal law, is separate from any obligation of support imposed under Maryland law or right to support waived by the parties via an ante-nuptial agreement. The Court quoted a few decisions holding that “the parties by their conduct may waive the requirements of a written contract’,” and explained that, “[b]ecause Defendant signed the ante-nuptial agreement before he signed the Form I-864, the sequence of Defendant’s actions leads to the conclusion that the Form I-864 waived that portion of the ante-nuptial agreement concerning spousal support.” See Toure-Davis v. Davis, Dist. Court, D. Maryland 2014. The bottom line is that, although Form I-864 is a necessary document in the adjustment of status process, it can have very real legal consequences and should not be signed without a full understanding of the obligations it creates in the sponsor, whether it be the immigrant’s spouse or someone else. The federal regulations provide that “[e]xecution of an affidavit of support . . . creates a contract between the sponsor and the U.S. Government for the benefit of the sponsored immigrant, and of any Federal, State, or local government agency or private entity that administers any means-tested public benefits program.” 8 C.F.R. § 213a.2(d) (2013). This means that federal, state, local, and even private agencies can go after the sponsor for reimbursement in the event that they provide means-tested public benefits to the immigrant spouse. the sponsored immigrant dies. 8 C.F.R. § 213a.2(e)(2)(i)(A)-(E).